I've been sitting on the idea of making a nut butter with a variety of nuts for awhile. And then I recently realized that I actually have 4 varieties of nuts, right now, in my kitchen. So it was nut butter time! 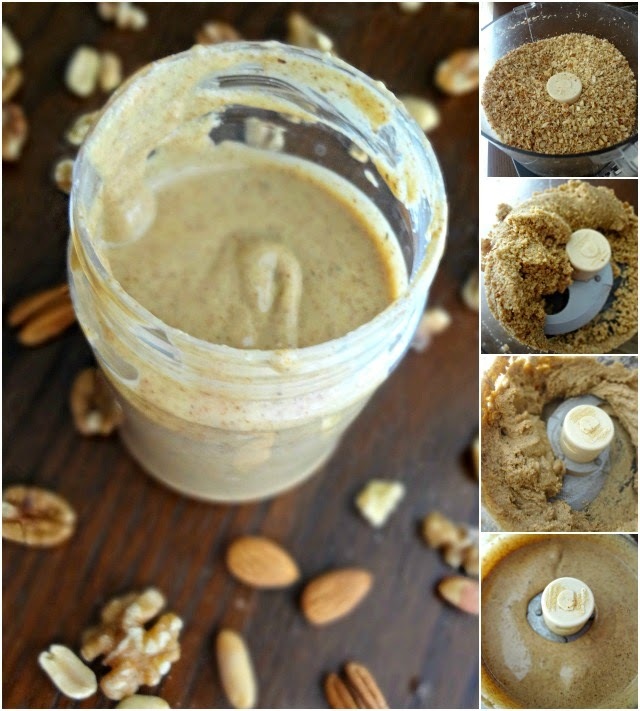 As I've mentioned quite a few times before--making homemade nut butters is unbelievably easy and so entirely customizable. You can add pretty much anything you want to it--honey, chocolate, vanilla, etc. 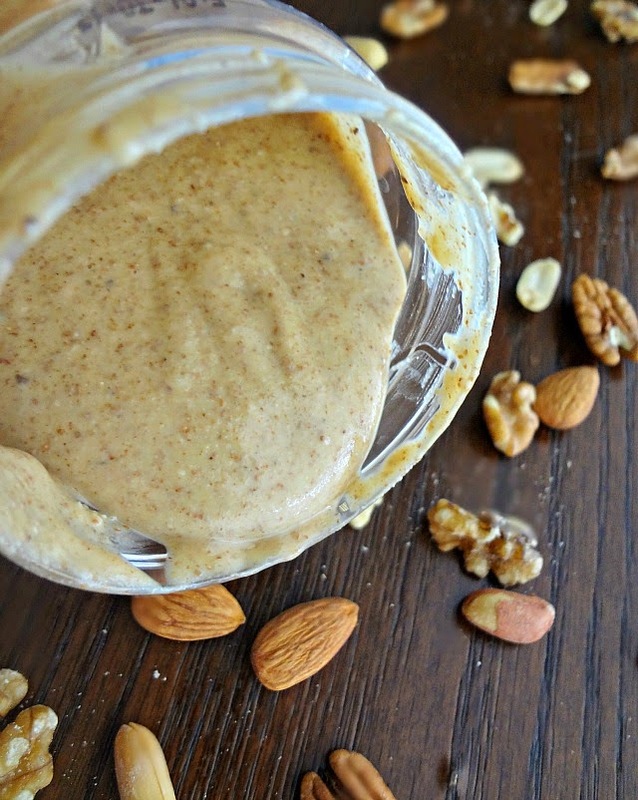 Or you could add nothing and just let it be an ultra healthy nut butter! This is the same. I've given you the amounts of nuts and the varieties that I used but you can completely mix it up to suit your own needs! And your end result is a delicious, healthy, natural (and no-stir!) 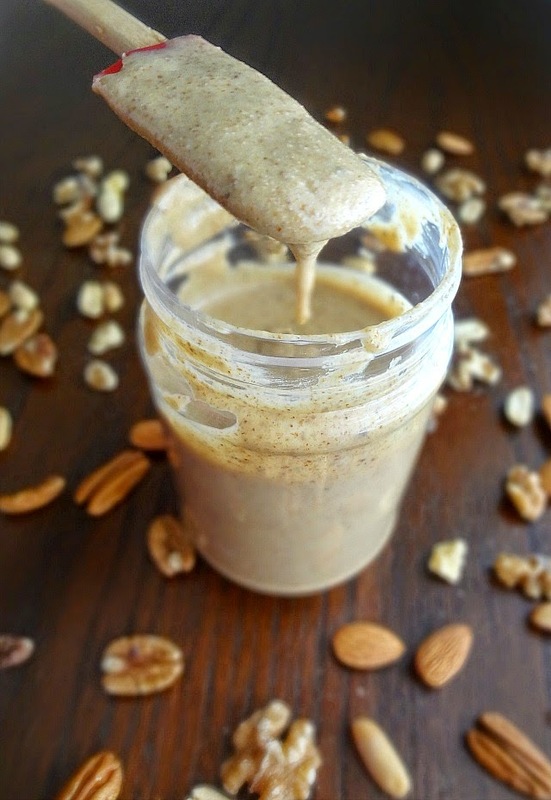 nut butter! For my multi-nut butter I had almonds and peanuts as the predominant nuts (peanuts have a good amount of oil so that way I wouldn't need to add oil during the process. And almonds are ultra good for you!) and then walnuts (which I don't love but are some of the healthier nuts) and pecans (which taste oh so good but are prob. the least healthy nuts). And then I just added a smidgen bit of salt and honey. 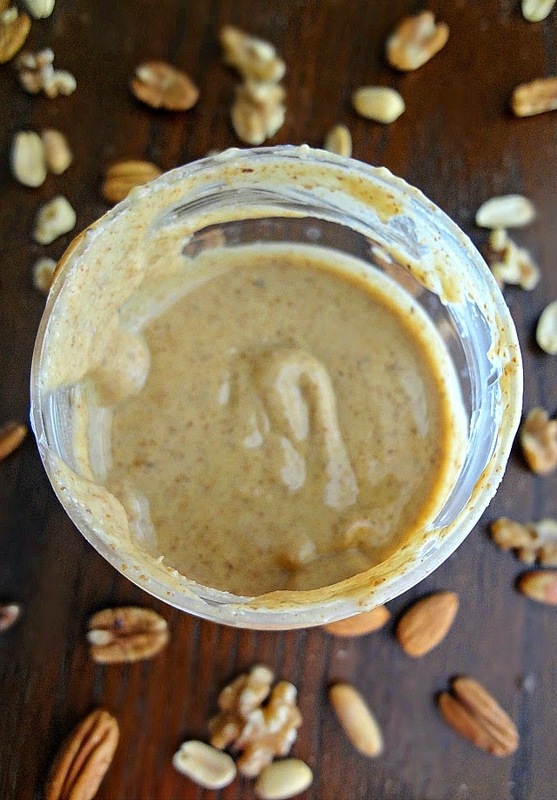 And now I have a delicious, creamy (of all the nut butters I've made this one doesn't get as thick and hard in the refrigerator-which I looove) thing to spread on my pancakes, toast, or to bake with! Get on board and get your food processor ready! Makes approximately 14 oz. of nut butter. Note: This recipe is 100% customizeable, all amounts and ingredients are suggestions. You are welcome to change up the ratios or the varieties of nuts according to your own personal preferences. It should be noted, however, that keeping a larger ratio of an oilier nut-such as peanuts-will help prevent you from needing to add oil later on in the process. Add the nuts to a food processor. Process the nuts--they'll become coarse in texture, eventually they'll form a ball, and then eventually it will break down into a gritty paste and then a smooth nut butter. This process may take awhile and it may seem like it won't break down, but it should! (If it has been awhile-like 10 minutes-and the mixture still hasn't formed a paste then add a little bit of oil as needed for it to break down. This should only happen if you're using a lot of drier nuts--such as almonds. In this recipe the peanuts oils help counteract that). 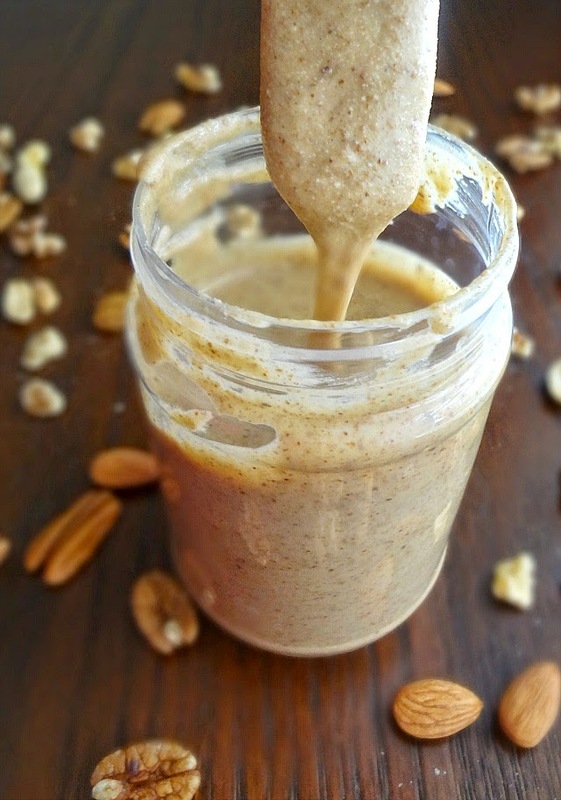 Taste the nut butter and add salt and/or honey if desired. If adding the salt or honey process for another minute. Pour into a storage container (such as a mason jar or a cleaned out peanut butter jar-so long as it has a lid) and serve or store! Store in the refrigerator for about 1 month (will only last about 1 week at room temperature and it will have a very runny consistency if not refrigerated).